Want to know more? Visit our comprehensive roof insurance page here. 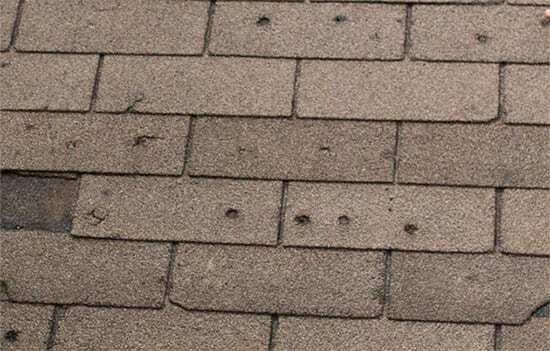 Hail damage to a roof is a serious problem that leaves property owners feeling helpless at worst and stressed out at best. The past two years alone in the Capital Region have seen a tremendous increase in the amount of storm damage claims, calls for repairs related to storm damage and increase in frequency in hail related damage that we’ve inspected here at Infinite Roofing. What throws off most property owners is the complication of the insurance claim process. Insurance companies are usually going to do everything in their power to avoid having to pay out on claims, so your timelines are going to be critical in order to maximize your chances for a proper claim. I wish we could just give you a quick guide that gave you absolute, concrete steps that always lead to your claim being successful. Unfortunately, circumstances, guidelines and actual policy coverage are all going to vary widely from insurance company to insurance company. However, there are a couple tangible actions you can take to maximize your chances of a successful claims process regardless of your situation. What that means is you could have a roof that’s 10 years old and had an installation cost of $15,000. Now after a storm with a lot of hail damage and a $15,000 roof replacement cost, the insurance company only pays out ~$4,000 because of the ‘depreciation’ of the roof, which leaves you footing the bill for the other $11,000. However, more and more insurance companies are offering an Actual Cash Value (ACV) method for covering roofs. This method means that there is no depreciation and if the bill to replace the roof is $15,000, then you’re going to generally receive $15,000 minus the deductible. So check your policy (and if you’re signing up, ask the various insurance companies bidding for your business about ACV plans). Check for obvious punctures and holes in your roof. After a major hail storm, go out on your roof (or view from binoculars) and inspect it. 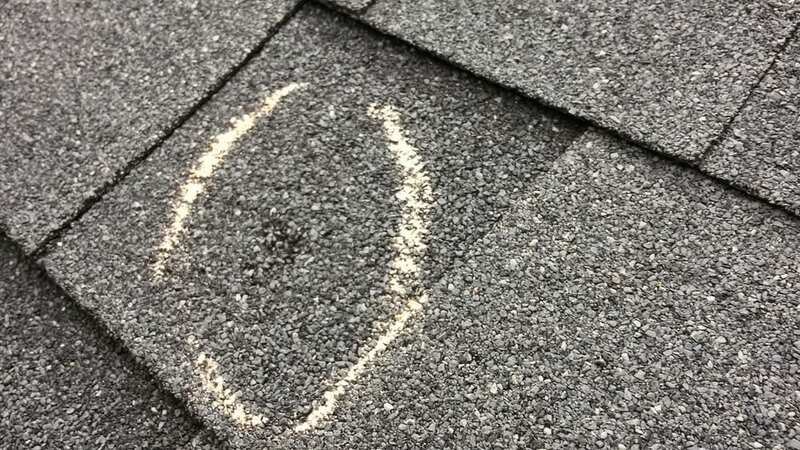 You’re going to look for dark circles or punctures where the hail hit the asphalt and create round circles all over the shingles. Additionally, check the interior attic area for any signs of leaks (this isn’t always going to be a drip, drip drip type leak – look for moisture inside). If you suspect damage, the first phone call you need to make is to your insurance company. The quicker you make a claim for damage, generally the easier time you’re going to have in processing your claims. Don’t wait a week, two weeks or a month – you’ll only hurt your chances of a successful claim. Hail Damage isn’t always immediately obvious at first glance, which is why you should have a professional inspect. 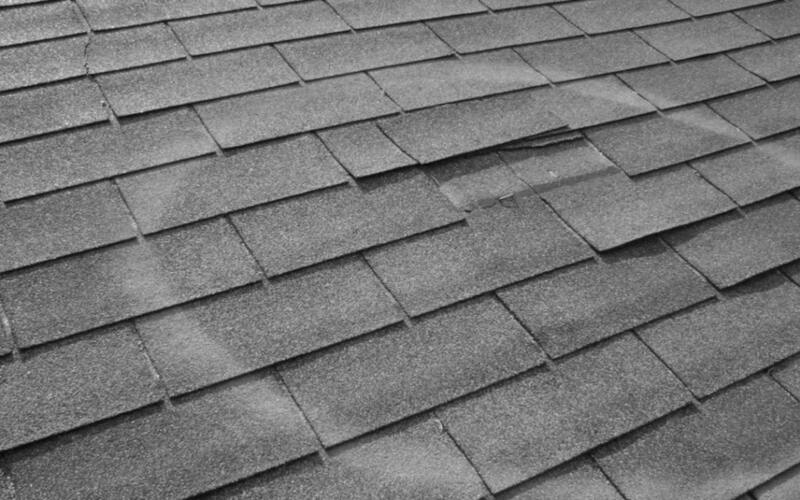 Have a professional roofing contractor come out and inspect the roof and look at the damage. The professionals will be able to more accurately pinpoint the areas of damage and explain to you how and where the major problem areas are, in addition to what a scope of work is going to look like. At this same time, the insurance company will be scheduling or sending an adjuster out to inspect the claim and report back to the insurance company about whether or not your claim is justified. While these adjusters are “independent,” remember that they’re paid to do the job by the insurance company, and at the end of the day, their primary motivation is going to be to support the insurance company over you. Because of that, we advise you to bring a roofing professional to the meeting with the adjuster to have some additional support on your end and for there to be an extra layer of document review that is in support of you. Document, document, document! Make sure everything you do, you keep records, pictures, everything in copies for your records to thoroughly defend your case in the event that the insurance company gives push back over paying out on the claim. The burden of evidence is on you, and always remember: the insurance company doesn’t want to eagerly pay out. That’s all for now! Stay tuned as we release more information about hail damage and the insurance claim process throughout the next week!